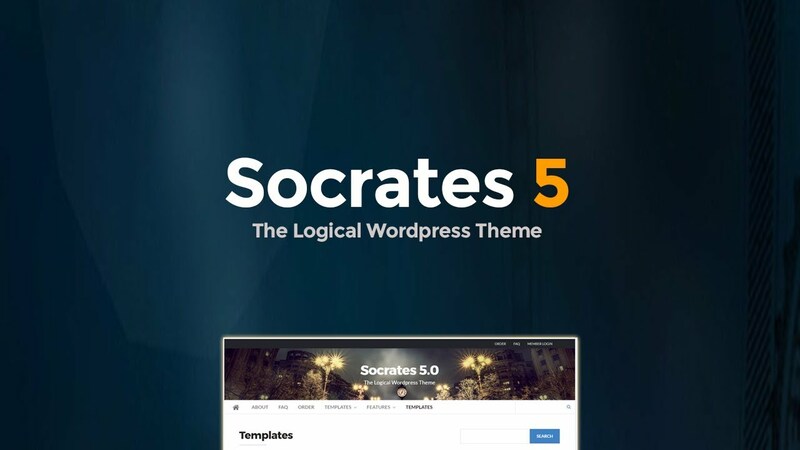 Socrates Theme Coupon Code to celebrates their 9th Anniversary on 13th April 2019 and they officially given out a coupon code of 20% off your purchase. But this coupon code only works for 48 hours(2 days) and valid for unlimited licenses($47) and single license($27). Reveal the Socrates Theme coupon code below. Socrates Theme 5 is the latest version, no doubt that this is a great theme as it has been on the market for more than 5 years now. Socrates Theme 20% Coupon Code - Socrates Theme 9th Anniversary. Valid for 48 hours only. The number one reason you should own this theme is the support and free lifetime updates. Yes! You only need to pay once to get unlimited usage(if you buy the unlimited license) or 1 license to install on one website/blog if you choose that. The difference in price between these two licenses is not huge and that is why we suggest you to get the unlimited license version. As a blogger, it’s impossible to have only one website in our lifetime so secure the unlimited license to be able to use it on all your websites. With Socrates Theme 5.0 which supports Gutenberg editor but you can always use the old WordPress editor back by installing a free plugin that they suggested. Some people find it easy to use the old editor compared to Gutenberg so don’t worry as you can get it back. With every purchase of unlimited license, you will get Socrates Toolkit Plugin, SpeakerTheme, Bonus SEO Report, WPFreshTraffic and one year of IMCodex membership. This theme allows you to create almost anything from Funnels, Sales Pages, Landing Pages, Member Sites and more. Dan Nickerson is very sure that you will like his theme, he decided to give 3 days trial so you can try this theme out for free in 3 days. If you decided to buy this theme, you are protected under the 60 days money back guaranteed with Question Asked policy which means you can get a refund within 60 days of your purchase with the condition that you provide him a reason for your refund request. Why did he created such a policy? He is listening to his buyers feedback and will continue to improve his theme. You can get support through live chat available on his website, he usually answer you himself. Other than that, the contact form to reach him is available too. Nothing to complain about this theme, we honestly like it because it’s light and fast. Go try it or buy the Socrates Theme full unlimited license using the coupon code provided.